Bollywood actors Bipasha Basu and Karan Singh Grover sent tongues wagging the moment they started working together for 'Alone'. While they called each other 'good friends' their rendezvous kept the paparazzi busy. From holidays, parties, work outs to movies, this couple seems to be doing everything together. But the one thing that they are not doing is confirming their relationship. Throughout 2015, Bipasha and Karan were either alone or with their group of buddies but always together. Their social media accounts are flooded with pictures and videos of their many escapades - a perfect fodder for the tabloids. The latest Maldives holiday pictures hold testimony of their relationship status and the comfort level they share. After Bipasha's surprise birthday bash photos came out showing their bond getting stronger. Reports started floating around that the reason the couple is not going official with their relationship is Karan's ex-wife, Jennifer Winget. According to the buzz, Jennifer was demanding a hefty amount in lieu of the divorce and Karan wasn't ready to oblige. 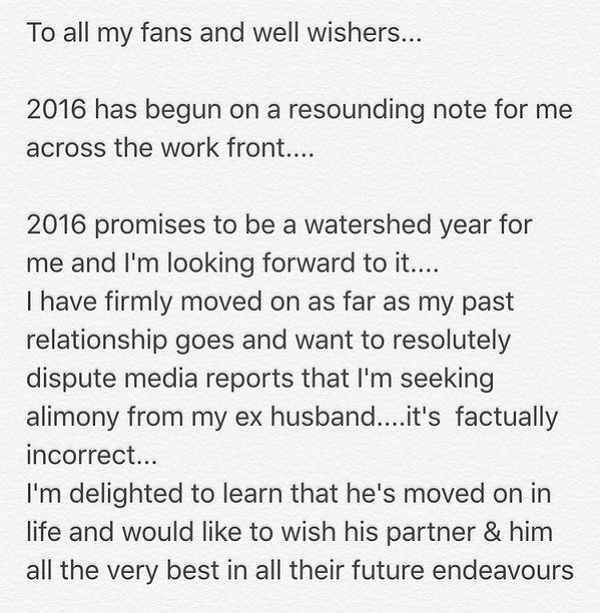 However, in a heartfelt message on Twitter recently, Jennifer explained everything. It was also reported that Bipasha's mother, Mamta, wasn't too happy with her daughter's current boyfriend. This was because of his two failed marriages. However, it looks like Mamma Basu has finally given her nod to their relationship. The actor shared pictures from Bipasha's birthday bash wrote, "The most important night of my life...In the midst of angels... Lucky me..."
So, has he finally been accepted as the would-be son-in-law of the Basu family? Only time will tell.